Mom was here at the tail end of my Spring Break last week. She was making one of her twice-yearly tours of Oklahoma, visiting family and friends. She was looking forward to some nice Oklahoma spring weather and she even brought mostly shorts and warm weather clothes. Woe to her that it was raining most of the week. We finally did have a beautiful weekend so she and I spent the rainy days cooking and we spent the beautiful weekend weather cleaning out flower beds and pruning roses. On our cooking days, we made hot dog buns, Irish soda bread, pie crusts (or she did), raspberry-dark sweet cherry pie, and lots of raspberry jam. I was determined to get that box of frozen raspberries out of the freezer during our Clean Out. One day of jam making did just that. 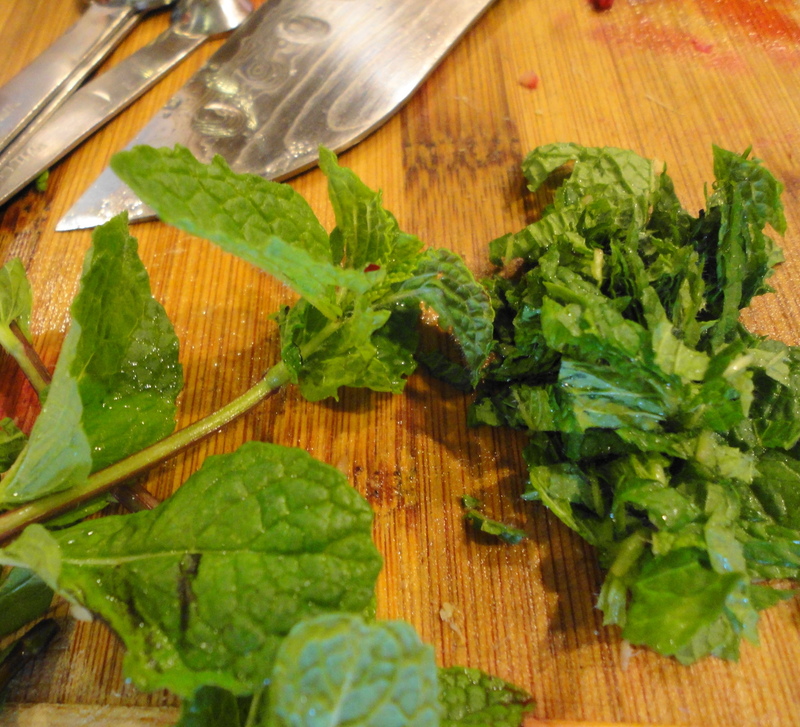 I took a couple of recipes (Ginger Raspberry Jam and Raspberry-Ginger-Mint Jam) and used the best parts of both for my recipe below. This was my first foray into making preserves without pectin and without refined sugar. 1/8 c. fresh minted, sliced into ribbons. Combine raspberries, honey, lemon juice, and ginger in a medium saucepan. Bring to a boil over high heat, stirring occasionally. Simmer until very thick, mashing with a potato masher and then stirring, about 10 minutes total. This mint survived the winter! I made two batches of this and I used agave nectar in the second batch. I then made a jam from a New Mexico memory. We bought some Raspberry-Chili-Ginger Jam on our very first trip to the Santa Fe Farmers Market. I had made something similar before with store-bought raspberry jam. This was my first attempt at making it homemade. 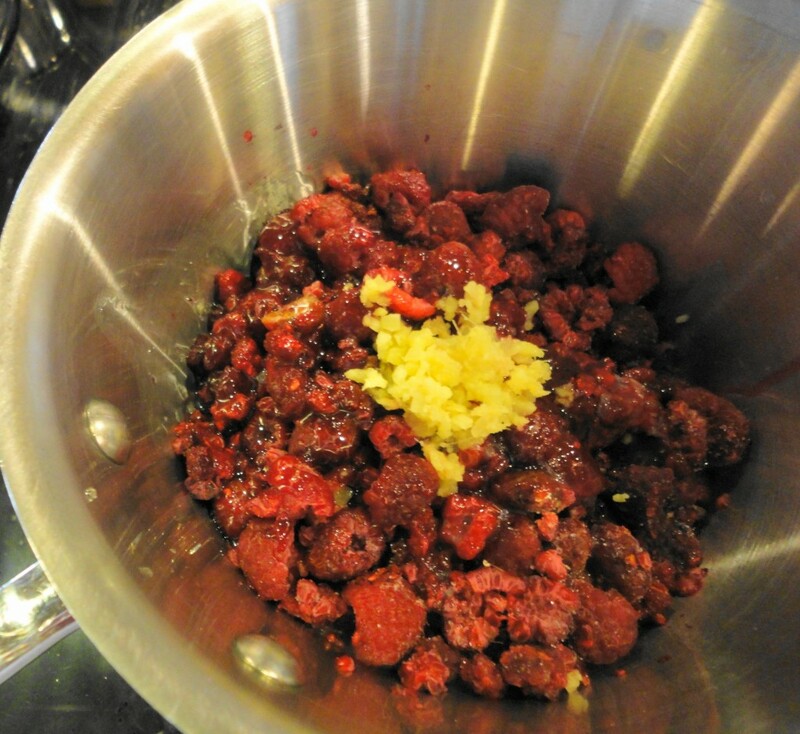 Combine raspberries, honey, lemon juice, red pepper flakes and ginger in a large saucepan. Bring to a boil over high heat, stirring occasionally. Simmer until very thick, mashing with a potato masher and then stirring, about 10 minutes total. 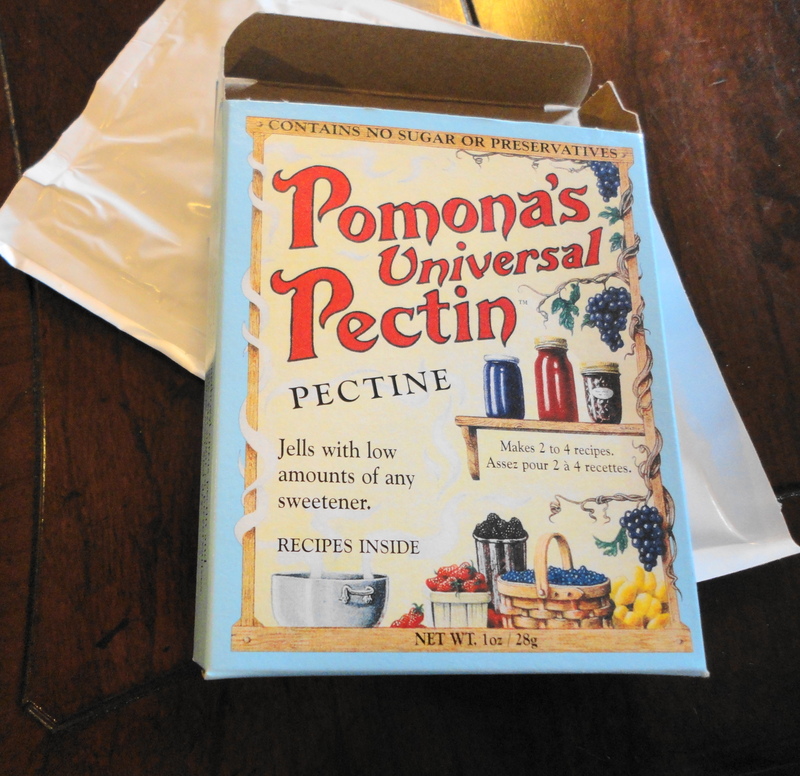 We also made some regulation jam using Pomona’s Universal Pectin. It uses almost 75% less sugar. I used a little over a cup of honey for my double batch. 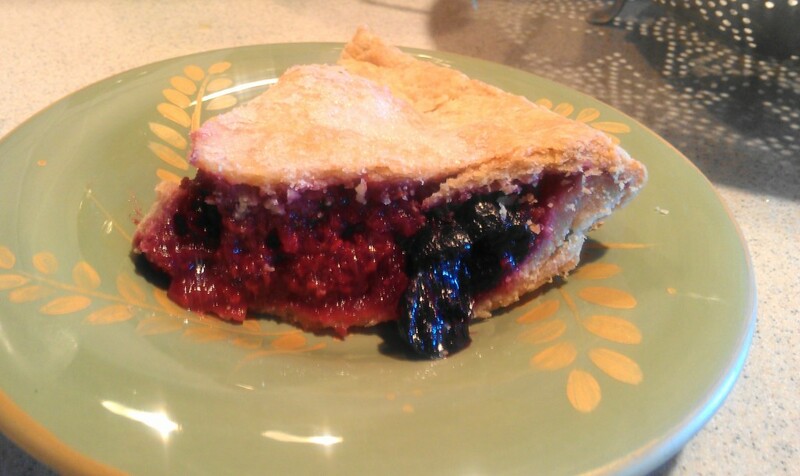 In the meantime, mom whipped up some of her pie crusts and made a raspberry-dark sweet cherry pie. Mom’s pie. She just threw the filling together without a recipe. It came out delicious! Our next baking adventures were with bread. We had some locally made brats that we wanted to grill but I did not want to run back to the store for buns. We decided to try our hand making our own. 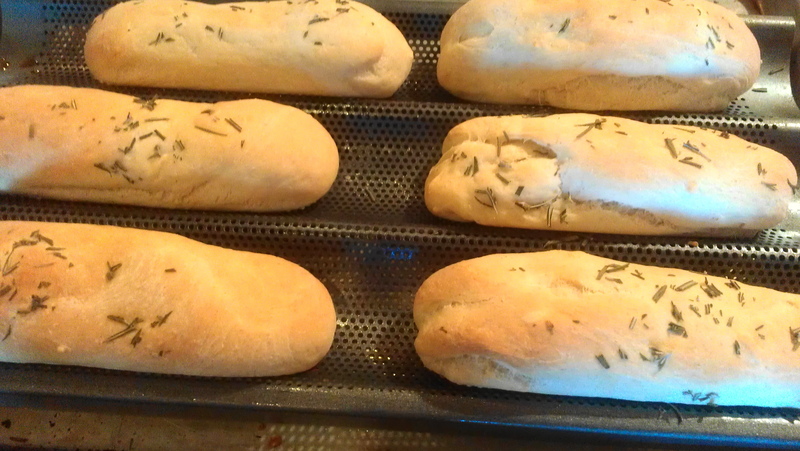 I used mom’s sandwich roll recipe and put the buns in my baguette pan to bake. 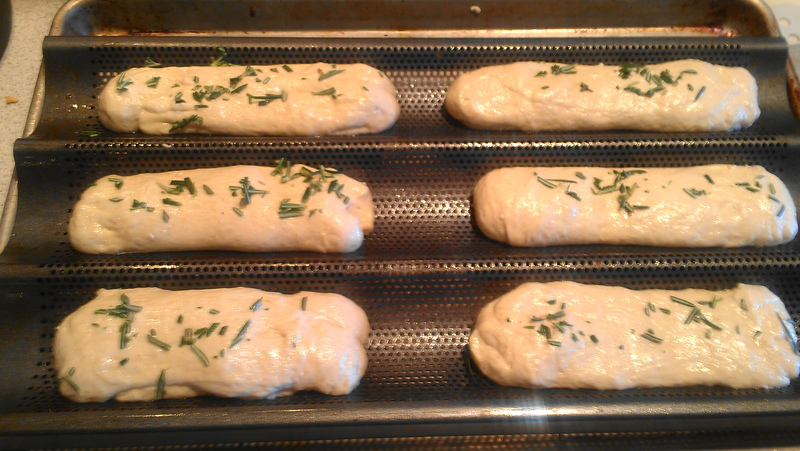 Hot dog buns ready to rise with rosemary. These turned out delicious and were perfect with the brats. We also made Irish soda bread, but more about that later. I want your mom to be my mom. That is all. Such fun to be cooking and baking with your mom. 😉 That pie looks delicious and I love the combination of ingredients in the jam. Inspiring…I’m ready for our Spring Break, oh wait we’ll be painting the kitchen….I don’t have a mom with me to help me anyways. 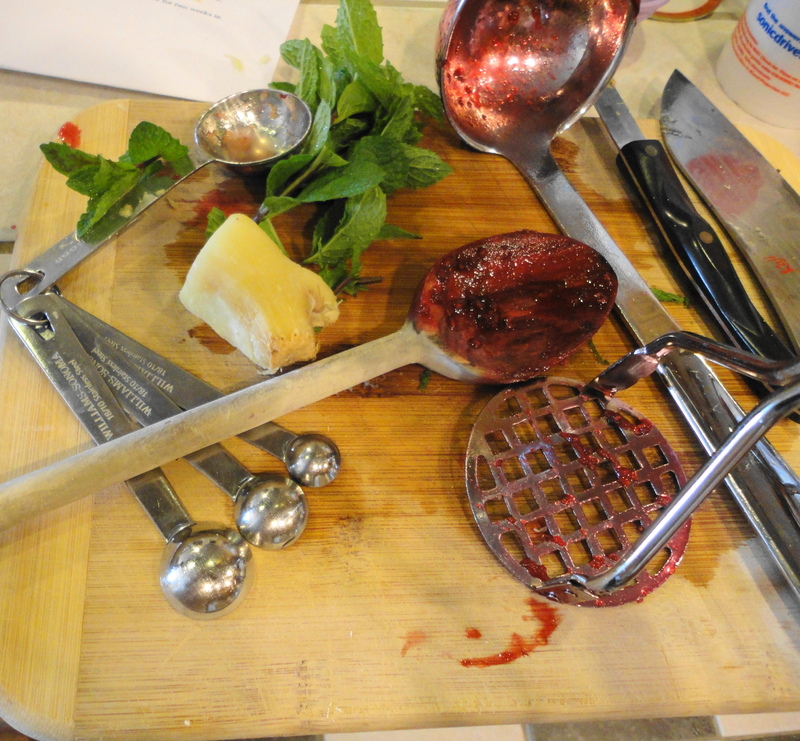 I am so going to make the raspberry ginger chile jam! Nothing better than baking with ones Mom. Everything looks delicious, especially the pie! Yummy. I think cooking and baking with our moms is the best! You made so many beautiful things I don’t know from which one to start! They all look delicious! HAHAHAHA! You really did say that, didn’t you? I didn’t take any pics of the jam. Most of it was in freezer containers—not so much of a photo opt there. And, I think I am like your mother. I really have to watch myself in the kitchen when someone offers to help me. I need to take a lesson in patience. I don’t know which looks better, those rosemary buns or the jam with chiles! Definitely a successful cooking/baking time with your mother. My mother and I can’t cook at the same time–I think we’d passive-aggressively snip at each other if we did. I forgot to thank you for the email with all the places to go in OKC! I hope we can make it to at least one of those restaurants-thank you so much! That helps a lot. Ummm, yum! I wish I was in the kitchen with you two. I love making jam, but not too many people I know do, so I always make it alone. My mom, loves to cook, but we never seem to do it together! I should ask her.